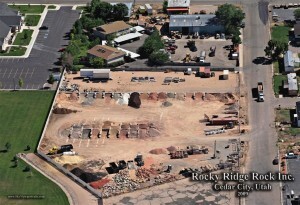 Rocky Ridge Roll-Offs is locally owned and operated in Cedar City, Utah. 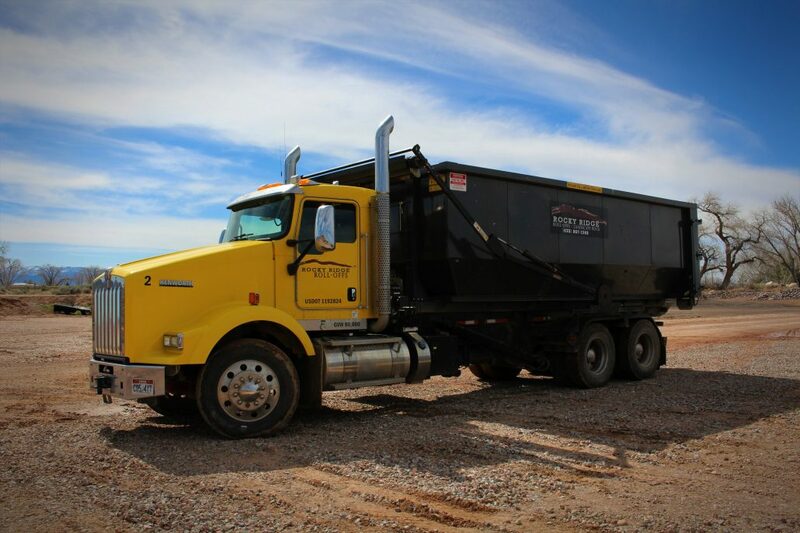 We provide regular, temporary and seasonal roll-off dumpster services to businesses, contractors, and home owners. 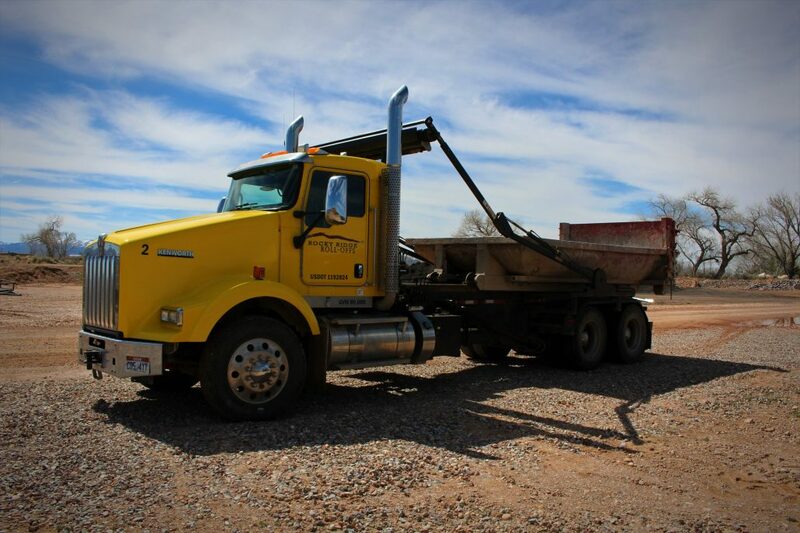 If you need a dumpster, we will roll it off, you fill it up, then we will haul it off, as simple as that! 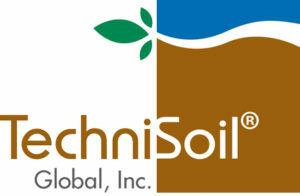 -We offer prompt professional service with the personal touch of a smaller business. We deliver same day guaranteed! 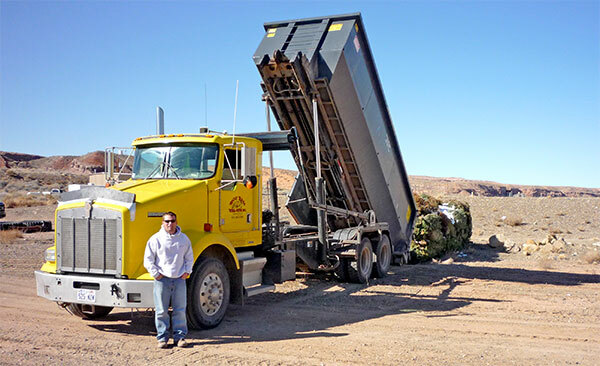 -Rocky Ridge Roll-Off can handle all your recycling, waste disposal and dumpster needs! 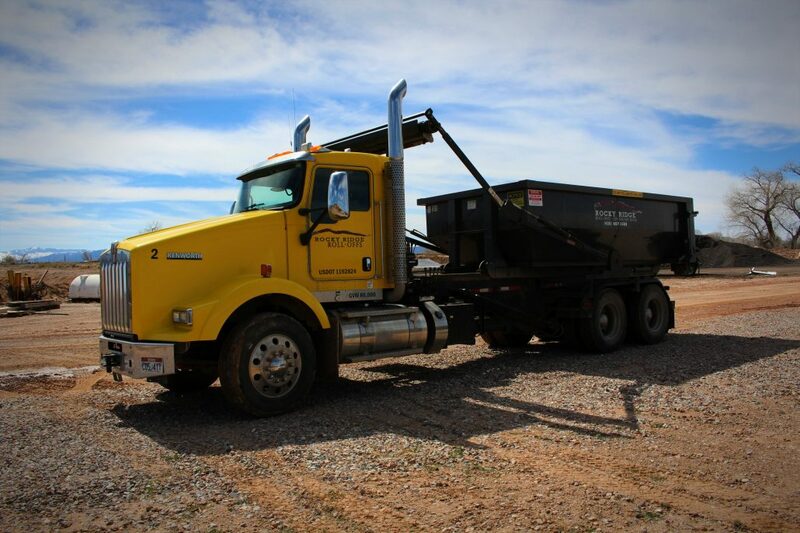 -Rocky Ridge Roll Offs also offers recycling of Metal, Concrete, and Asphalt. 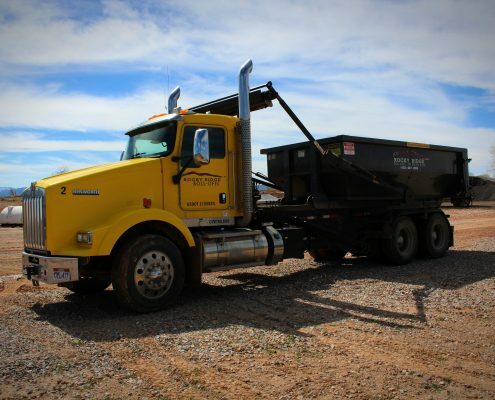 -All of our dumpsters have a flat rate price, easy payment and you know exactly what to expect. We make it as easy as possible to rent. 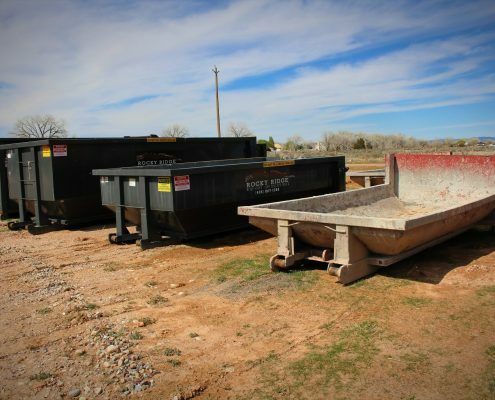 Rocky Ridge Roll-Off Dumpsters are reliable, good quality, large dumpsters. We can dump it and return the Roll-Off to you in the same day, and haul it away the day your finished. 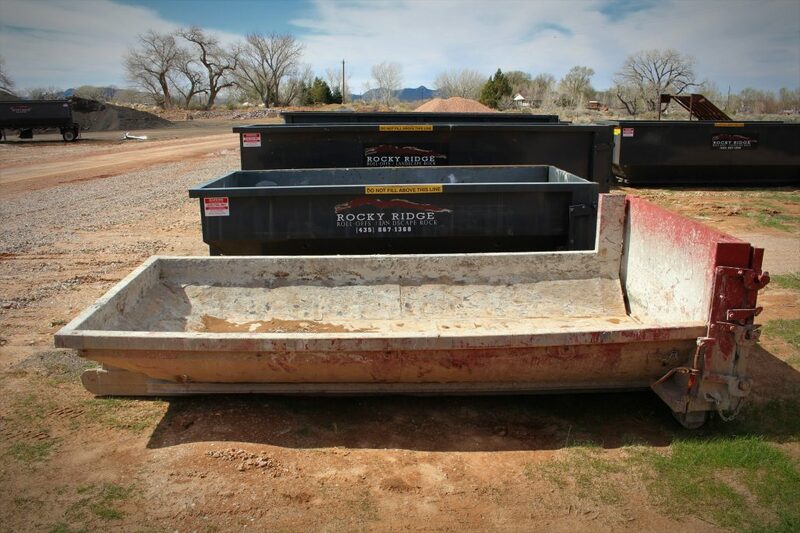 Call Rocky Ridge today for prices and more information about the Roll-off dumpsters. HOMEOWNERS! Please see the “Homeowner Agreement” (under Roll-Offs in main menu) for Terms and Conditions in regards to delivering a roll-off dumpster. Thank you! 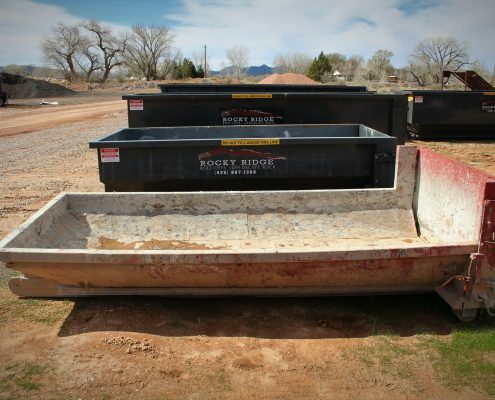 Rocky Ridge Roll-Offs are dumpsters that are rectangular in shape and use wheels to roll into place. 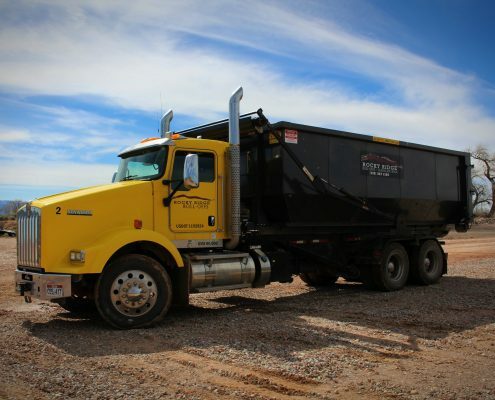 Our dumpsters are great for new construction, demolition, remodels, home clean-out, and yard and tree debris clean-up. 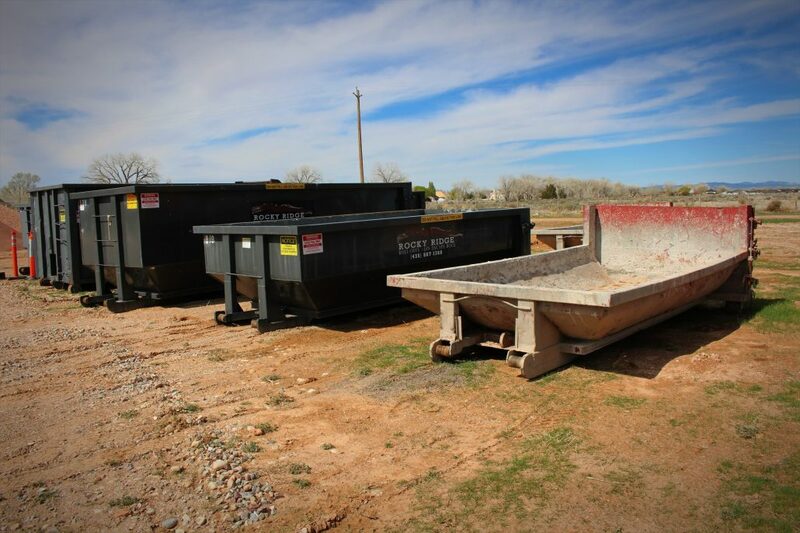 Roll-Off dumpsters come in two different sizes: 30 yard dumpster and a 15 yard dumpster. The 30 yard can hold up to 7 ton, and the 15 yard can hold up to 3.5 ton. A 30 yard dumpster is the most common roll-off dumpster size and best for major home additions, construction of a new home, or demolition. A 15 yard dumpster is best used when space for a dumpster is a concern. Rocky Ridge also offers 10 yard concrete clean-outs for small, quick jobs that you need to get rid of fast. 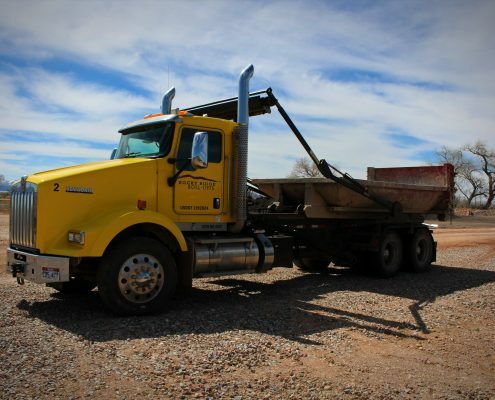 Acceptable materials that can be loaded into our concrete clean-out include: concrete, dirt, asphalt, sand, brick, block, ceramic tile, clay tile, stucco (no wire mesh), plaster, etc. All other materials should be put in a regular roll-off dumpster.